Joost Custers spent part of March 1 at PSI Experience’s workshops, very near the German border – but still in Belgium of course. The team is busy preparing one Corvette C6.R, one C5-R - both for the Le Mans Series and FFSA GTs – and two Porsche 996 GT2-R Biturbos for Belcar. 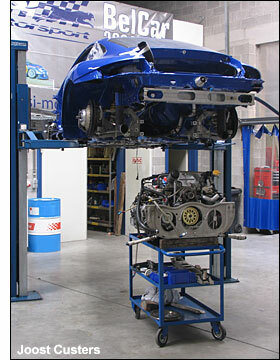 The team has also one RSR and one 996 Cup Porsche in its capable care. In addition, JMT and Russel Racing (Thiers) will respectively run two and one ex-PSI 996 GT2s in Belcar, while a number of these cars also could be seen in FFSA GTs. Both Corvettes are in the workshop - and instead of the usual yellow livery, it is apparent that both cars are dark blue, even though much of the bodywork has been removed. While the team’s Corvette C6.R was being run up in the 'shop, I spoke to Markus Palttala (right) about the near future for this ambitious team, which is rapidly becoming one of the most significant GT teams in Europe. Is PSI intending to develop and improve the cars Markus? “Our main task is now to learn about the C6.R and C5-R. Those machines are so well developed that little can be done to make them quicker or more reliable. The only changes we intend to do concern the data logging and the suspension. We have developed our own data system, together with Bosch, and we have good experience with them. The same story explains the suspension changes. Except for these items, we’ll be relying on support from P&M. “All the rest will be a matter of time and experience to find the right set-up, and that’s why we’re planning a first test session next week. We will first go to Paul Ricard, followed by some days at Estoril. Some test days in Germany afterwards are still possible, while the official LMS days at Paul Ricard will finalize the pre-season for us. “Last but not least, tyres have to be tested. In France, Pirelli is the sole tyre brand and we know from our experience with the Porsche that this is not always easy. For the international races, Michelin and Dunlop are the two options. PSI has a busy schedule - with three full championships with two cars each, although one race is missing from the calendar: the 24 Hours of Le Mans. Is this difficult to accept? “Well, yes and no. We still have a chance to be on the final entry list but we remain realistic. Anyway, it would be great to be there on the grid, it’s the most important endurance race in the world. The ACO has already accepted a privateer Corvette (Alphand) and there are also already two Belgian teams (G-Force and Gordon). “But if we’re not there this year, we know what to do in the LMS this year! Our target is to be first or second in GT1, as this means a guaranteed entry for Le Mans. I think, our squad, with Jos and Pertti, is a good one, with a perfect mix of speed and experience." 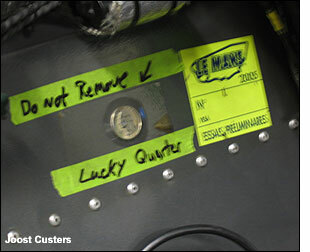 And a lucky quarter in the C6.R too. This is the Le Mans winner last year, chassis 002. 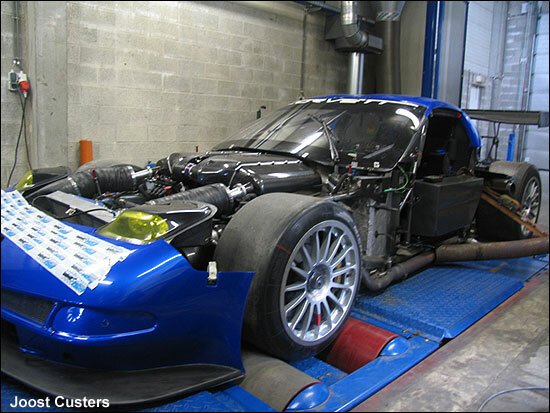 “For FFSA GT and Belcar, the target is to win races, although in France the standard is increasing from day to day. The entry is really spectacular. In Belgium, to beat the GLPK and SRT Corvettes will be difficult with the new rules, but Jos and Ruben are really keen to do so. And as we proved last year in Brands Hatch, it is possible.